About us - Welcome to NatPath clinic | We are a Holistic and Digestive Health clinic based in Ealing Broadway, West London. 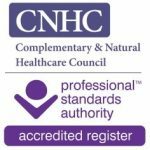 I am a London based Naturopathic Colon Hydrotherapist, regulated and registered with the Association of Registered Colon Hydrotherapists (ARCH) and the Complementary and Naturopathic Health Council (CNHC). My journey in the amazing world of alternative medicine started with my studies in the field of Naturopathy and Western Herbal Medicine at the College of Complementary and Naturopathic Medicine in London. During my studies, it became clear to me that the “Holy Grail” to optimum health was not only nutrition but also a strong and healthy digestive system. 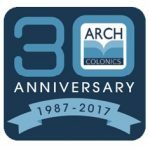 I went on to specialise in the field of Colon Hydrotherapy and Digestive Health at the European College of Colon Hydrotherapy, a truly unique and inspiring experience which defined the focus of my practice. 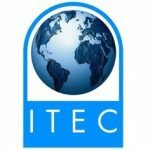 I have since been running a busy practice for the past 13 years on a full-time basis, treating functional bowel diseases including Irritable Bowel Syndrome, bloating, constipation, abdominal pain, candida albicans, leaky gut syndrome, food intolerances and many other digestive related issues. Over the course of these years, I had the fortune to work abroad as a guest therapist at Yoga and Juice Fast Retreats in Spain and Portugal, where I enjoyed not only treating but also giving talks on the benefits of detoxification, digestive health, and colon hydrotherapy. 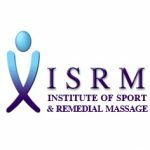 In my practice in London, I incorporate other “bodywork” treatments such as abdominal massage, holistic clinical massage, reflexology, trigger point therapy and myofascial release. I am passionate about natural medicine, colon hydrotherapy and helping my patients achieve sustainable results. My patients are a wide range of “everything”, some health-obsessed to others “burning the candle at both ends”. They range from the raw vegan foodies and yogis to professionals with high powered and stressful jobs; busy people running at 100 miles an hour, caffeine-charged and sleeps deprived; office workers, health workers, socialites, celebrities, gym bunnies, professional athletes, busy moms and retired people with colourful hobbies. They share something great in common, they are health enthusiasts. In other words, my typical client is YOU!